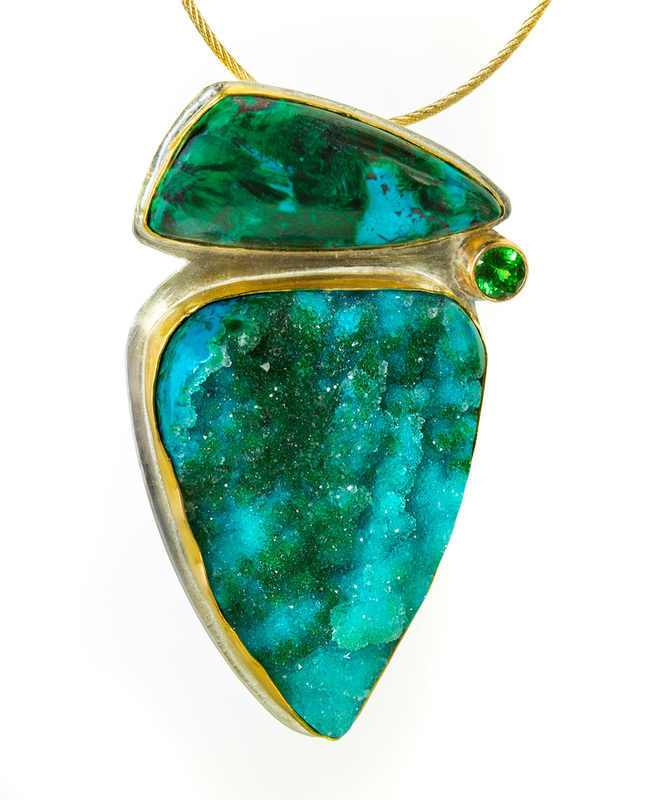 A piece consisting of two wonderful stones that are a combination of malachite and chrysocolla. One is a drusy and the other is a stone. They both are set in 22k gold on sterling silver. A green Tsavorite Garnet brilliant is set in 14k gold. The piece measures 2.75″ x 1″.